Aprilia SR 150, India’s first sporty crossover 150cc gearless bike was launched by Piaggio in the country. 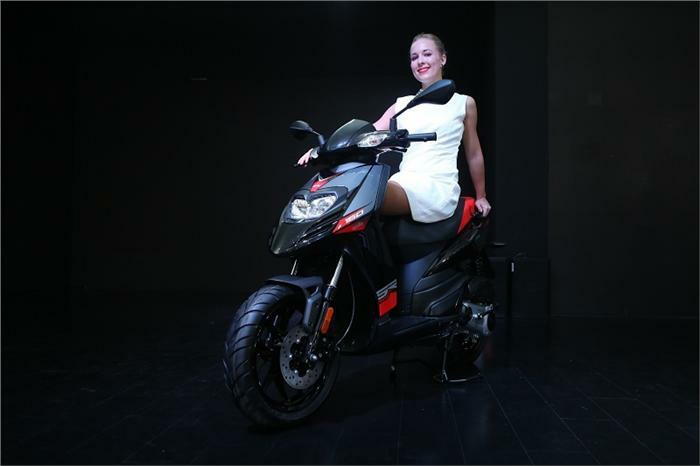 With the launch of Aprilia SR 150, Piaggio’s portfolio in the scooter segment has been expanded. SR 150 features a sporty, stylish and an aggressive look with a stunning design. The sporty appearance of SR 150 has been offered by the slender frame, dual headlight cluster and the sport race inspired graphics. The engine powering the scooter is a 154.4cc single-cylinder unit which churns out peak power and torque figures of 11.4bhp and 11.5Nm respectively. Braking duties are handled by a disc brake at the front end and a drum brake at the rear end. 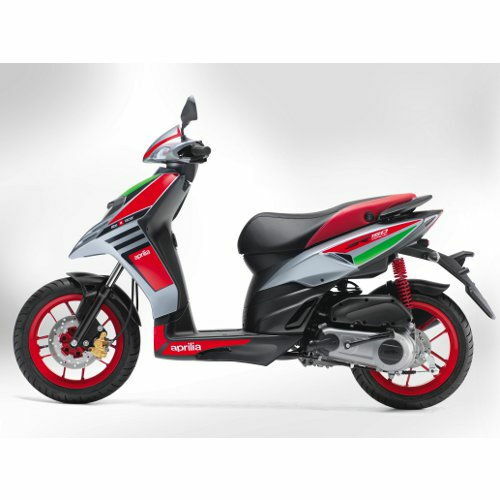 SR 150 gets 14-inch Alloy wheels with Tubeless tyres and the color options offered for the scooter are Matte Black with racy red graphics and a White-Black dual tone color with similar red graphics. 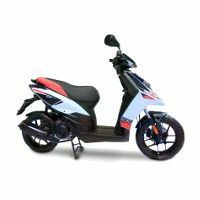 The highlights of SR 150 are the presence of a pass switch which is extremely helpful while riding at night and the foldable footpegs which fit flush for the pillion rider. 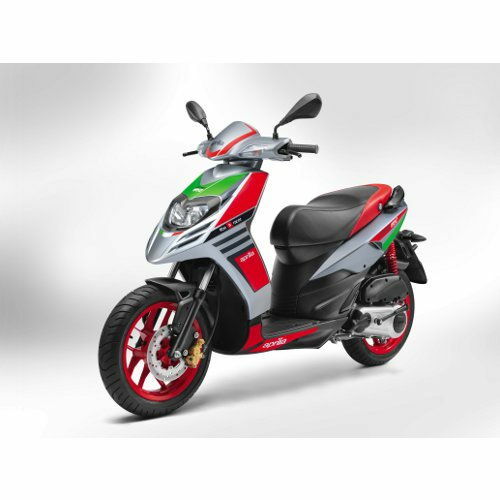 * Prices of Aprilia SR 150 indicated here are ex-showroom price not the on road price of SR 150. Price list is subject to change and for the latest Aprilia SR 150 India prices, submit your details at the booking form available at the top, so that our sales team will get back to you. Aprilia SR 150 mileage mentioned here is based on ARAI test drive made under standard test conditions. 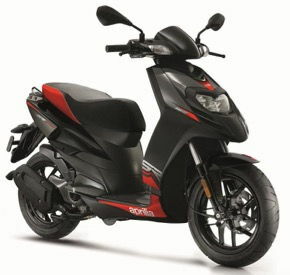 "The prime specs of Aprilia SR 150 are listed here. The overall length, width of the bike should give you an idea about its manoeuverability to sneak and run through the traffic jams.Engine specs of SR 150 are also listed here. With the power (in bhp) and torque (Nm) figures the most important ratios - power to weight ratio of SR 150 and torque to weight ratio. The displacement (in cc) is the measure of cubic capacity of the engine. The performance figure of the bike zero to sixty and zero to 100 in seconds will give you the sense of the power the bike possess and its on road performance. The lesser the time taken by the bike to reach 60kmph or 100kmph the faster it is over it competitors "